Grace is grossly misunderstood by many. It is not a blanket forgiveness which allows, condones or encourages rebelliousness. Paul is clear about that (Romans 6:1-2). Grace was always described to me as “getting what you need but do not deserve.” That’s still pretty close but it is not nuts and bolts. It is not an everyday working definition. Noah found grace in the eyes of the Lord (Genesis 6:8). Mankind was on the verge of destruction and there would be nothing Noah could do. However God gave him a divine plan. He told him to build a boat (Genesis 6:14 ff). Indeed, the flood came, all was destroyed except Noah and those in the grace-given ark (Genesis 8:18). But in the middle of all this Noah had something to do. God gave him a command to build and Noah did so as God said (Genesis 7:5). Between the prediction of certain destruction and Noah’s glorious deliverance we find a task. Is this story any poorer because Noah obeyed? Is there even a smidgen less glory to God because Noah did something? 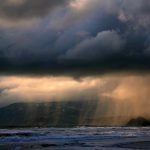 Did Noah earn his place in the ark? No! But he was obedient. Abraham lived among idol worshipers. Like all of mankind Abraham was in need of salvation. God chose Abraham as the venue for that grace which would come to all men (Titus 2:11). God made promises to Abraham (Genesis 12:1-3). Abraham obeyed (Genesis 12:4; Hebrews 11:8-10). Abraham never saw the blessings God promised; they came much later. He was obedient. He did as he was told to do. Is Abraham any less of a great Bible character because he obeyed? Is his reputation harmed because he did something? Is the glory of God tarnished because he used a man to bring salvation to mankind? Did Moses deserve or earn his place before God? No! But he was obedient. Paul (Saul) was a devout Jewish man on the fast track to success and notoriety in Judaism. Jesus stopped him on the Damascus Road (Acts 9:3 ff). By a direct intervention in his life this man was changed. He turned from executing the church to encouraging it. He stopped persecuting and began preaching. Paul was a walking testimony to the grace of God (Acts 20:24). Paul could say near the end of his life that glory awaited him (2 Timothy 4:6-8). He was a recipient of grace and bound for glory. But in the middle Paul was simply an obedient servant (Acts 26:19). But even with the thousands to whom Paul preached and even with the multiplied beatings and finally death, would any one say God owed salvation to the chief sinner (1 Timothy 1:15). No! Is God less glorious because Paul was obedient? Never! In every case, men were given the required knowledge. In every case their unforgivable sins were forgiven by the grace of God. But God has always demanded obedience from his people. As lowly servants we ought comply. Grace then is simply God giving us the gospel and the chance to obey that gospel (Romans 10:16; 2 Thessalonians 1:8; 1 Peter 4:17). 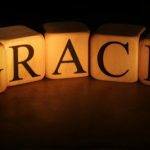 Grace is a much deeper topic than can be covered in a single article but maybe this will whet your appetite and help answer the search for a working definition of grace. Very well said! I agree with you. The three people you’ve mentioned have lead lives that are obvious evidence of God’s grace, most especially Paul.